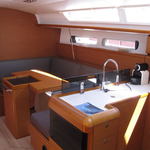 Sailboat Sun Odyssey 409 called Ad hoc has been produced in 2015. 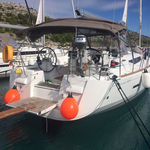 We offer this sailboat from harbor Zadar in surrounding area of Zadar. 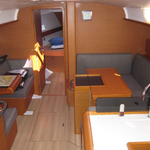 Ad hoc is registered for 7 persons. 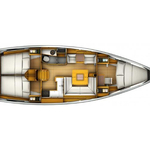 Layout of the yacht is 7 (6+1). 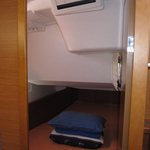 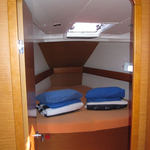 Sun Odyssey 409 Ad hoc is equipped with 3 cabins. 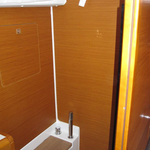 For comfort of passengers there are 1 WC. 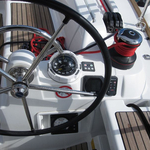 With motor 40 Ad hoc can navigate really fast. 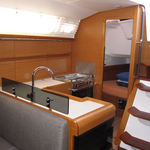 Ad hoc is 12.34 m long and 3.99 m wide. 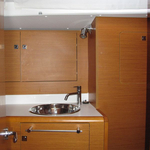 Depth is 2.1 meters. 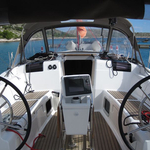 Check other boats by opening this link: Yacht charter Zadar. 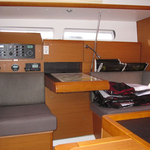 Boat's equipment consists of : Internet Wi-Fi, Autopilot, Plotter gps in cockpit, Dinghy, Anchor electric windlass, Bimini top, Teak cockpit, Electric winches, Heating, Bed linen, Radio / cd player, Coffee machine, Outboard engine, Bow thruster, Inverter 12v-220v, Furling mainsail. . Nonrefundable caution is at the level of 1300.00 EUR. 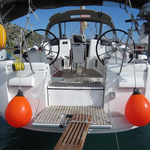 Choose our offer and enjoy your vacation on the deck of Ad hoc. 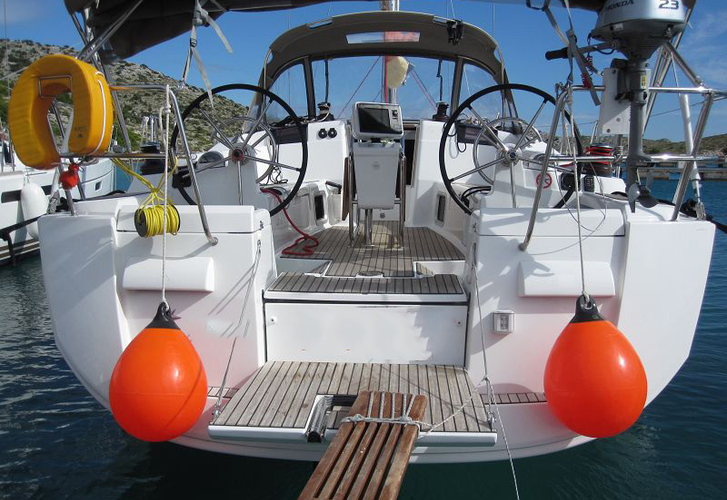 This Sun Odyssey 409 from Zadar from Croatia Use this site to find by opening this link: Yacht charter Croatia.